Physicists at Max Planck Institute and Aarhus in Denmark have slowed down the rotational temperature of molecular ions to its lowest yet. This precise control now allows for further research that previously was difficult, if not impossible to recreate in labs on Earth like astrochemical reactions that go out in space. In addition, the process can be used to shed more light on the quantum mechanical aspects of photosynthesis or to use molecular ions for quantum information technology. For most of us temperature is such a measure of warm or cold. For physicists temperature comes in many layers. The notion can be used to describe how fast molecules move through space (translation temperature) or the rotational motion around their own axis (rotational temperature). As molecules interact with one another, translation and rotational temperature reach an equilibrium and how fast this equilibrium is reached depends on the collision rate between particles (like the molecules that hit each other in a gas for instance), as well as on any external influences working against this equilibration. No energy can be extracted from a body that’s at absolute zero temperature (-273.15 °C), a state which is exactly thought impossible to be reached. Scientists nowadays can cool down particles to almost absolute zero, essentially making the particles stationary. However, it takes several minutes or hours for the rotation of non-colliding particles to cool to a similar level, making some experiments almost impossible. This may be about to change. 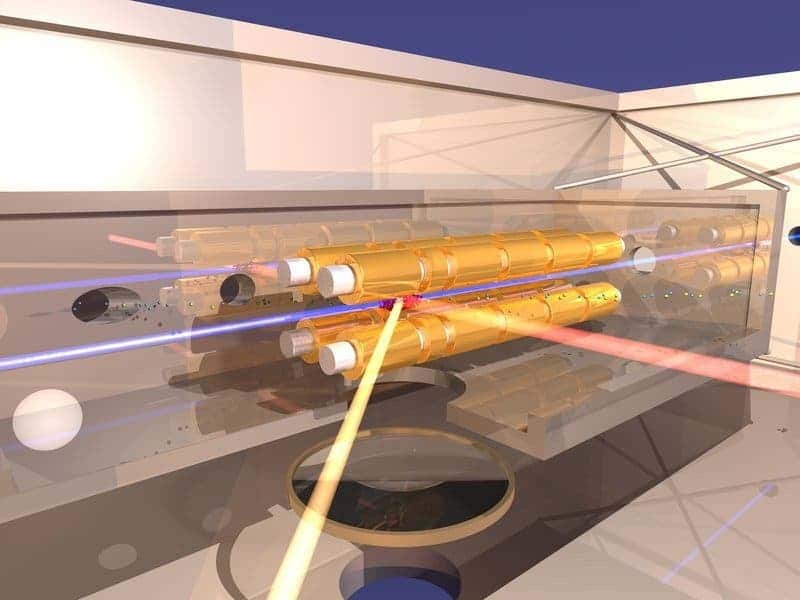 “We have managed to cool down the rotation of molecular ions in milliseconds, and down to lower temperatures than previously possible,” says José R. Crespo López-Urrutia, Group Leader at the Max Planck Institute for Nuclear Physics. The joint group managed to freeze molecular rotational motion at 7.5 K (or -265.65 °C), and using their method the scientists also shift the rotational temperature between about seven and 60 Kelvin. Unlike other methods, this cooling principle is very versatile, being applicable to many different molecular ions. For their experiment, the group confined a cloud of magnesium ions and magnesium hydride ions inside an ion trap known as CryPTEx, which was developed by researchers at the Max Planck Institute for Nuclear Physics. The trap is cooled to a few degrees above absolute zero and vacuum so collisions between particles are kept to a minimum. Inside the trap, the four electrodes, arranged in parallel and traversed by a high-frequency alternating voltage, confine the ions in the centre close to the longitudinal axis of the trap. A laser was used to trap the magnesium ions, while the magnesium hydride ions in turn cool because of their interaction with the magnesium ions. An extremely tenuous, cold helium gas inserted into the trap finally breaks the rotation of the molecular ions. This allowed the researchers to cool the translational temperature of the cloud to minus 273 degrees Celsius until several hundred particles solidify to form a regular crystal. In such crystals, the distances between the particles are very large, in contrast to the situation in crystals familiar from minerals. The particles which the cold laser causes to emit light can thus be seen at their fixed positions under the optical microscope. Micro-motion velocity of the trapped molecular ions can be increased by varying the shape and size of the ion crystal in the trap; it involves altering the voltage that is applied to trap’s electrodes. This helps not only to manipulate the micro-motion, and consequently the rotational temperature, but also the quantum-mechanical measurement of this temperature. The scientists do this by exploiting the fact that the rotational motion of the molecules is quantised. Put simply: the quantum states of a molecule correspond to certain speeds of its rotation. “Being able to control the rotation of the molecular ions and thus the quantum state so accurately is important for many experiments,” says José Crespo. Scientists can therefore recreate in the laboratory chemical reactions that take place in space if they can bring the reactants into the same quantum state in which they drift through interstellar space. Only in this way can one quantitatively understand how molecules are formed in space, and ultimately explain how interstellar clouds, the hotbeds of stars and planets, evolve both physically and chemically.